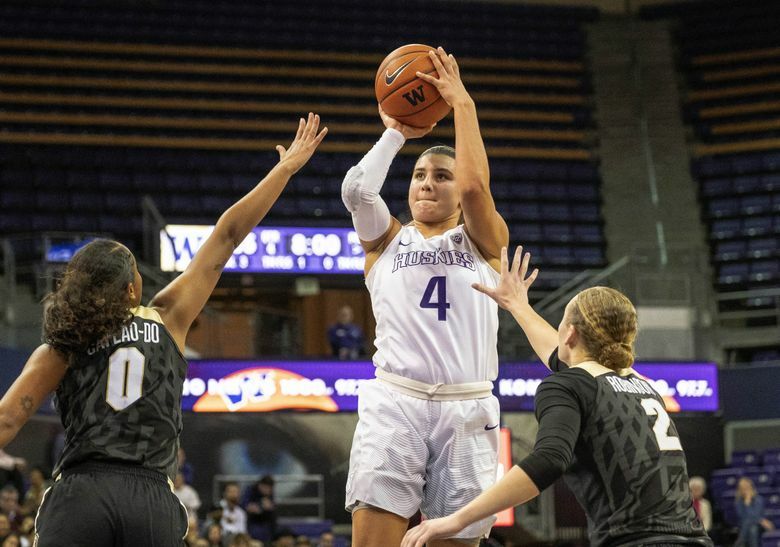 The Huskies snapped a five-game losing streak Friday against Colorado. Utah figures to present a tougher challenge. Records: UW (8-8, 1-3); Utah (14-1, 3-1). Scouting report: Washington snapped a five-game losing streak with a 68-58 win over Colorado on Friday. T.T. Watkins replaced Missy Peterson in the Husky starting lineup, and it worked well for both players. Watkins had 10 points, her second game of the season in double-figure scoring, and Peterson provided a big spark off the bench with 11 points. … Despite being 14-1, the Utes are not in the top 25. They were tied for eighth among other teams receiving votes in the most recent AP poll. … Utah F Megan Huff, the team’s leading scorer and rebounder, played at Todd Beamer High School in Federal Way. She ranks second in the Pac-12 in rebounding and sixth in scoring.